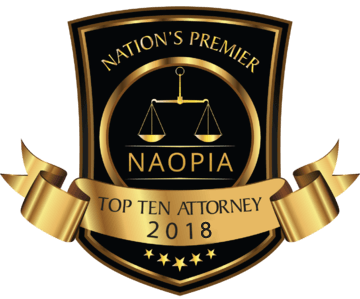 The National Academy of Personal Injury Attorneys awarded Joe Patton the 2017 and 2018 Top 10 Attorney Award for excellence in the field of Personal Injury for the State of Kansas and Mike Patton, Nationally Ranked Top 10 under 40, 2016, for excellence in the field of Personal Injury. Reports state there were over 50,000 head injuries every year as result of negligent accidents, most of these injured individuals were left permanently disabled. Another report indicates that an excess of 1 million Americans suffered head injuries. The analysis of this kind of injury requires an expertise concerning the nature and type of head injuries in the area of the brain involved. In auto accident case the speed of vehicles and whether or not the individual lost consciousness is important information in evaluating the head injury claim. A head injury with brain damage it can be detected in different ways. There are a variety of types of scans and MRIs available that will pick up gross brain damage. Even minor brain damage can create substantial interference with one’s daily activities. Unfortunately, minor brain damage is often not detected by scans. When one suspects brain damage, a neuropsychological test can be performed to determine the nature and the extent of the damage. Signs of this type of injury include loss of functional capacity, memory loss, changes in the ability to speak, changes in the ability to perform regular body functions and personality changes. Family members of the injured party must assist the attorney in providing this background information so the claim could be properly evaluated. In evaluating a head injury claim not only are the medical expenses past and future with as part of the claim we also must evaluate how this will affect the individual’s loss of earning capacity in the future. This often involves a vocational expert who will evaluate an individual past employment history and, with the Dr.’s limitations, issues an opinion on the economic loss. Loss of consortium, loss of services to the family and loss of enjoyment of life and loss of time are all important elements of damage in this type of case.. In evaluating a head injury claim not only are the medical expenses past and future with as part of the claim we also must evaluate how this will affect the individual’s loss of earning capacity in the future. This often involves a vocational expert who will evaluate an individual past employment history and, with the Dr.’s limitations, issues an opinion on the economic loss. 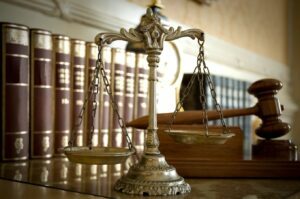 Loss of consortium, loss of services to the family and loss of enjoyment of life and loss of time are all important elements of damage in this type of case. This injury is not always obvious which is why you need a trained individual with experience to assist you . At Patton and Patton we are here to help. We can quickly set up a free consultation to assist you. Remember you have only one opportunity to be compensated for the injury unfairly inflicted upon you and your family. We understand and look forward to talking to you about your case. We have experience in representing clients in a wide variety of personal injury claims including auto accidents, car crashes, motor vehicle negligence, insurance claims, uninsured claims, hit-and-run matters, drunk drivers, truck accidents, motorcycle accidents and slip and fall cases. We have experience in helping individuals who have had head injuries, brain damage, orthopedic injuries, neck injuries, back injuries, herniated discs, broken bones and a wide variety of other types of injuries. Regardless of the injury or the type of accident you were involved in, we can help. Call (785) 370-0001 or in the Kansas City area (913) 228-1440.